Not too long ago, a small group of filmmakers was responsible for not just some of the best films of its generation but of all time. Today, although its degree of permanence remains to be seen, a similar group of directors is leading the charge, serving up memorable masterpieces both mainstream and indie. While there hasn’t been any clear-cut torch passing (since many past greats are still currently releasing movies), there are some obvious connections and influences that are too obvious to ignore between the teachers of yesterday and their disciples of today. Here’s how we see it. In the race to be unofficially crowned the Next Spielberg, Abrams has to be considered the front runner (sorry, Michael Bay, Peter Jackson and a sea of others). Abrams, like Spielberg, will always have sci-fi in his heart – and mass appeal in his brain. It’s a sort of dichotomy that virtually no other director can lay claim to, and one that has resulted in not mere projects but “events”: Lost, Star Trek and to a lesser degree, Alias, Mission: Impossible III and Armageddon, the latter of which he co-wrote. With Super 8, a somewhat thinly veiled homage to E.T.-era Spielberg (who fittingly serves as a humongous-name producer), we’ll get our best idea yet of just how Spielbergian he can be – and whether or not his last name, too, can be turned into an adjective. Scorsesephiles might cry blasphemy with this comparison (“You’re mentioning the Benjamin Button guy and the greatest living director in the same sentence? Umm, die?”), but to be clear, we’re not anointing Fincher the “next” … anything; that’d be unfair to him, too. But Fincher, like Scorsese, seems to be drawn primarily to darker subject matter, and both filmmakers blend style and substance – and music – unlike virtually any of their peers. No, Fincher will probably never do a mafia movie, but The Social Network might’ve just been his Goodfellas. was the impetus behind Cameron’s decision to become a filmmaker, so we have George Lucas to thank on some level for Cameron’s many shining moments (it bears mentioning, though, that not all of his moments have shone). They haven’t exactly had the same career paths, but their sci-fi, uh, swords have probably crossed paths a few times. Plus, there’s little doubt that Cameron was hoping Avatar would be this century’s Star Wars. Financially, if nothing else, his hopes came true. While their thematic interests lie very far apart, Stanley Kubrick and and Paul Thomas Anderson are probably the most uncompromising auteurs of their respective generations. With There Will Be Blood, P.T.A. didn’t just inch closer to, but leapt into Kubrick territory (he previously seemed more destined for Robert Altmantown), with his willingness to tell a story that doesn’t appeal to the masses and do so in his way only – a way that is probably considered downright criminal by any film-school or how-to-get-a-movie-made standards; there’s no talking for several minutes to start the movie, for God’s sake! 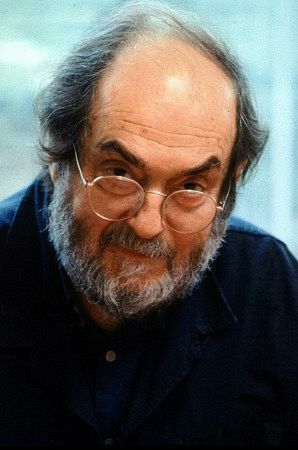 Kubrick and Anderson are each singular in an industry whose professionals strive for parity. As with almost everyone on this list, we’re not saying Lynch and the Coens are father-sons in film-lineage speak, but they share a striking bond, and that is a fascination with all things weird. While both groups have dabbled in mainstream territory (Lynch with Twin Peaks and the Coens with True Grit among other minor hits), they are art-house directors at their core, and that allows/compels them to aim toward left field and swing for the fences. More times than not, the results have been mind-melting home runs; dark, twisted masterpieces, in fact, haven’t been uncommon. Arguably the best of his own generation, Tarantino tires of the same genre quickly and changes drastically with each successive movie, thus making his many influences tough to pin down. Perhaps his cinematic father is a cross between Brian De Palma, Sergio Leone and … Robert Altman? He has influenced too many directors to pick just one – plus, he’s still the best and most prolific of his kind! He boast two of the best movies ever, yet they’re so disparate in many ways – as is much of his other work – that it’s impossible to choose his chief disciple? You can easily trace her musical tastes as well as her actual lineage, but movie-wise, her influences aren’t abundantly clear. He’s done it all, but while Memento and his other noirish films are perhaps slightly Hitchockian, his Batman movies are flat-out original. And then there’s Inception, of which studios themselves are probably the main disciples!